Developed by experienced professors and professionally narrated for easy listening, this course is a valuable tool when preparing for your Project Management Professional Certification Exam or PMP. 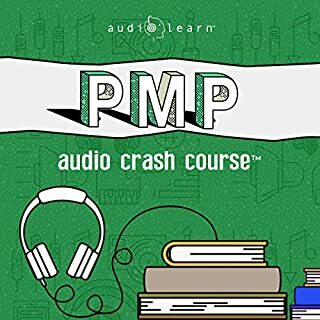 The audio is focused and high-yield, covering the most important topics you need to know to succeed on the PMP. The material is accurate, up-to-date, and broken down in small units. 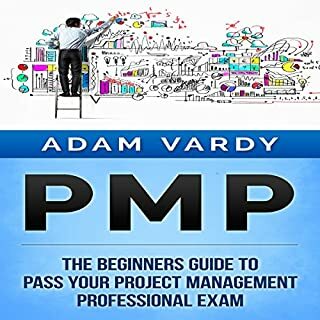 This book spells out the qualities of a good project manager and takes you through the exact steps that you need to master to become competent as a project manager. Once you go through the tips provided in this book, you will not have to worry about the nature of the project at hand or its magnitude. You will have gained so much courage that no project will intimidate you. As you will realize after going through the book, it is not easy to forget the project management tips provided owing to their mode of delivery. Do you want to launch your project management career? This Beginner's Guide will help you master the project management and soft skills the pros use that make them stand out and successfully manage projects. Imagine starting your project management career with an edge over your competition. Whichever methodology you use, Waterfall, Agile, or other - soft skills will give you an advantage. Whether you're managing your first project or just tired of improvising, this guide will give you the tools and confidence you need to define smart goals, meet them, and capture lessons learned so future projects go even more smoothly. Do you often look at how your organization runs its projects and wish things could be done better? Are you a project manager who is tired of poor planning and organization of projects? You are about to learn exactly what it takes to become one of the most effective and efficient project managers around! In this audiobook, we'll talk about the construction project management life cycle. We'll also cover contracting and contract management, the participants involved in a construction job, and the critical success factors in every contracting job. This audiobook is produced for both project managers and for homeowners who wish to build residential properties; the concepts discussed herein are general, but are important when it comes to approaching the construction process. More than two-thirds of American companies use teams to execute their most important projects, making project management a highly valuable skill for advancing your career. 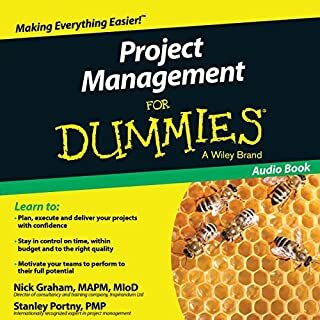 Project Management For Dummies, Second Edition introduces you to the principles of successful project management and shows you how to motivate any team to gain maximum productivity. 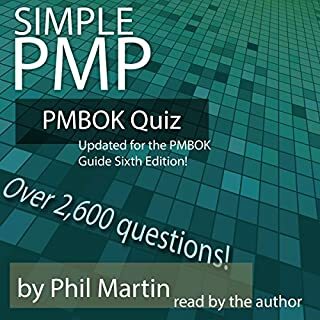 The purpose of this book is to take you through the stages of learning about project management, expectations and requirements of the job, the qualities of a good project manager, and the basic principles of project management. Some of these principles include time management, cost and budget, incorporating strategies in to the scope of the project, reporting to upper management or the CEO, and working with unmotivated or difficult people. This book will also walk you through factors to consider when planning a project, such as objectives and goals, strategies, people involved in the project (your team), upper management and stake holders, and time constraints. 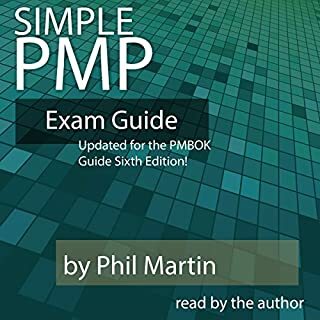 This guide will outline the entire process from start to finish, and the tools and techniques used by project managers to accomplish goals, meet milestones, meet deadlines, and manage time and work efficiently. 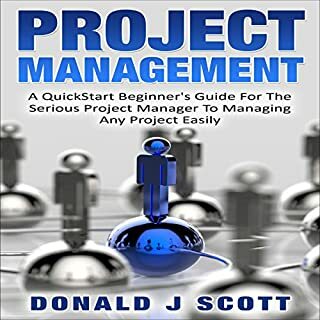 For beginners who are looking for learn about project management, this book will be a great resource for you. The object is to take beginners with little to no experience with project management and give them the knowledge they need to feel comfortable in becoming experienced project management professionals and respected leaders. Take action now and download this audiobook today! Maybe most beginners need something so basic, but this is all stuff I figured out on my own. How many times can you say "Communication is key to your success"? 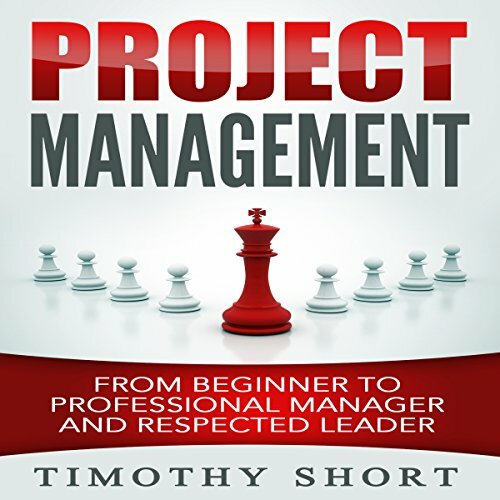 This book was a wonderful refresh to assist me with being the Best Project Manager I can be.